“Who is this Meryl?” I hear you say. Well! She’s only our witty new creative genuis of a Content & Social Media Manager – so look out for her on the blog soon! Not only is she an absolute pro when it comes to dazzling you on Facebook and Instagram, she’s also a pro when it comes to making hot chocolate apparently. 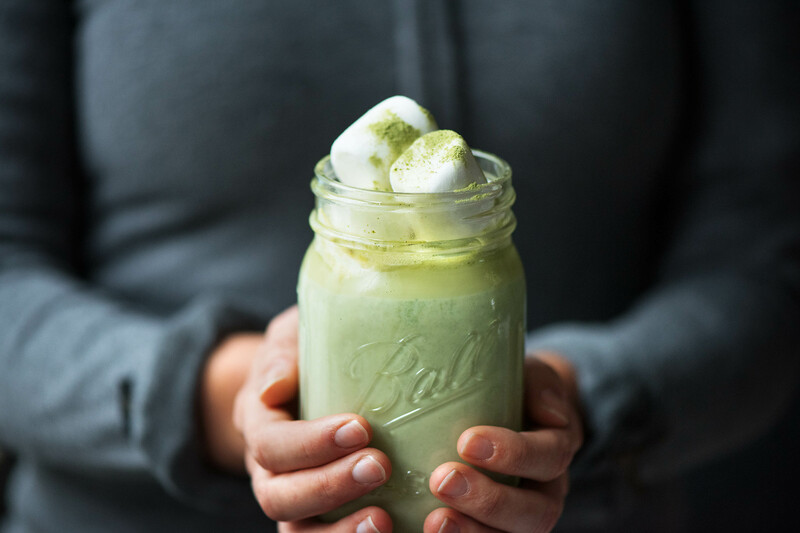 She casually made one of her matcha white hot chocolates in the office… and walked back to her desk with a lot of envious glances at her cup. So, I got the recipe out of her in the end and it’s super easy! Matcha tea contains the amino acid L-Theanine. This gem of a nutrient promotes the production of alpha waves in the brain which helps you relax – but without any drowsiness. Perfect for an evening in! Sift the matcha powder into a saucepan. Add 2 tablespoons of the milk and whisk until no lumps remain. Whisk in the remaining milk and add the white chocolate. Heat over medium low, stirring, until the chocolate is melted and the mixture is warm.